Vonage, the US-based Voice over Internet Protocol (VoIP) provider, is planning to increase its UK presence with the introduction of the V-Portal box. Many will be familiar with Skype or Tesco internet phones. 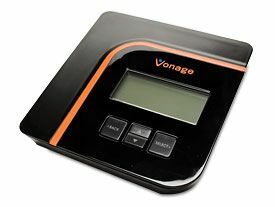 But Vonage, one of the largest independent VOIP companies, aims to take internet telephony one step further – by eliminating the PC from the VoIP process altogether and transforming the home phone into a low-cost internet-phoning magic hub. One of the problems currently facing the industry is that internet telephony is perceived as too complex. While the benefits of cheap calls and an extra phone line certainly sound attractive, many potential users feel it is too difficult to set up and so simply don't bother. This is where Vonage appears to have done its homework, by making its retro, CD wallet-sized box a real cinch to set up. Poster-sized fold-out instructions with colour-coded diagrams are always going to be a winner for setting up. Sure enough, within four connections and less than five minutes later, the V-Portal box was sitting comfortably next to the home phone. The only problem occurred when it couldn't find the internet. Fortunately, the V-Portal box boasts a built-in LCD screen that helps with installation, troubleshooting and diagnostic issues. So a simple 'unplug the blue cord and plug it securely back in again' message was all it took to fix it. Why can't more devices come with helpful little hints on an orange LCD, rather than forcing you to rifle through the troubleshooting section? Other than that, there's not a lot that needs to be said about the box. The screen comes in really handy for retrieving missed calls, accessing your directory and alerting you to waiting voicemails. In some respects, the V-Portal is like a very basic mobile phone. By scrolling through the menus, you can turn 'call divert' on or off, block anonymous numbers, or even access weather or traffic phonelines. The other advantage is that you can run two phone lines off the same box, with a choice of country calling codes to affix to each. Then, when the box is moved between countries, you can take the number with you. This could be a useful feature for location-based businesses. For those who prefer to only call domestically, it will only cost £6 a month to do so, which is far better than many fixed-line price plans. What will really help bring this type of device to the fore is the introduction of naked DSL, broadband that does not entail paying for a phone line as well. If that were ever to happen, and Vonage is lobbying strongly for it, there would be very little reason not to use the V-Portal.